General anesthesia is a terrifying thing. General anesthesia side effects are another thing. Just picture it for a second: During a period ranging anywhere from a couple of minutes to dozens of hours straight, your body and mind are completely turned off, thrown far beyond anyone’s reach. You are not dead, but you are not alive either. You are in-between the two realms, hoping for the best and fearing the worst. This is the brutal truth behind general anesthesia: a cruel, frightening state. However, it is also a necessary evil. An evil without which people would die by the thousands due to an ordinary appendicitis. An evil that saved millions of lives throughout the last few centuries. General anesthesia liberates us from the excruciating pain of surgery. Without it, the doctors wouldn’t be able to any surgeries—big or small, heal major injuries, or make organ transplants. General anesthesia (GA) is an essential part of modern medicine, and it won’t be going anywhere in the foreseeable future. However, this procedure and state are accompanied by a range of side effects that everyone should be aware of. 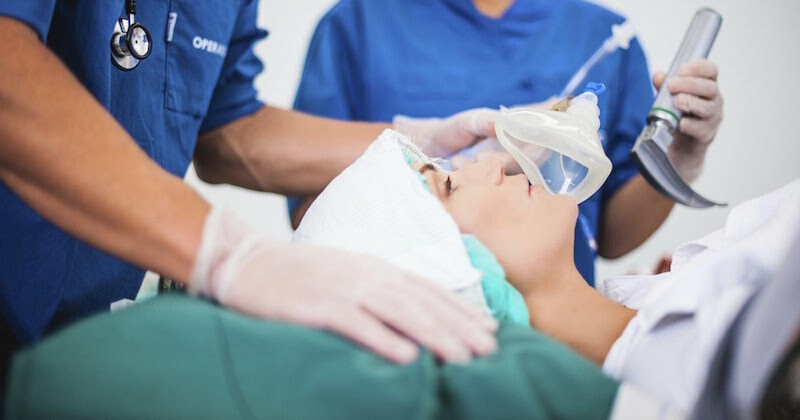 The first part of your body that is affected by general anesthesia is your brain, and this is the essential part of a full-scale chain reaction. This organ is the “control centre” of two different kinds of regulation systems: humoral and nervous. When the brain is turned off, both of these systems are temporarily impaired, put away from their usual duties: the control of all functions and processes in your body through hormonal (humoral) and nervous impulses. Instantly, your metabolism rate decreases, slowing down all the processes taking place in your body. Your digestion slows down, and all the other enzymatic reactions in your body also go on at a very slow pace. Many of your hormones (including T3 and TSH) are synthesized in minimal amounts, while such stress hormones as cortisol skyrocket. Your cerebrospinal fluid (the fluid surrounding your brain and spinal cord) is produced at a barely healthy volume. Everything goes to sleep—and your mind too. And, as if that weren’t enough, there’s another important component in this puzzle: the anesthetic itself. After entering your body either through an intravenous or inhalational route, this chemical starts circulating in your bloodstream and interacting with all organs and systems in your organism. The first structures that are severely affected are your liver and kidneys. Let’s be honest here for a second. Everything in the world is a potential poison, it all depends on the dose. General anesthetics, likewise, are exceptionally powerful substances used in minimal doses—otherwise, they would kill you in a matter of seconds. The universal way of your body to deal with toxins is to neutralize them in the liver (in most of the cases) by transforming their initial formula into something water-soluble. The goal of this process is to help your kidneys excrete these nasty substances with urine. Sounds nice, doesn’t it? However, it’s not always that easy. Under certain circumstances, the toxic burden on the liver and kidneys imposed by general anesthetic agents may be so significant that it may lead to the development of fulminant hepatic (liver) or renal (kidney) failure. The risk of such a life-threatening side effect increases with age and certain diseases like diabetes. Moreover, certain patients are at risk of developing a condition known as POUR (postoperative urinary retention), which consists of a temporary inability to urinate after surgery. This factor can also contribute to a prolonged period of toxins elimination after surgery! In other words, the simple truth you should remember is this: No matter how “minor” the intended surgery, your liver and kidneys will be in dire need of all the support you can provide them. Fortunately, there are quite a few verified ways to do that! The general principle is as follows: Antioxidants are the best way to support your liver in the post-surgery period. These substances scavenge the free radicals that are formed during any kind of tissue damage, especially related to states of ischemia (lack of oxygen) and subsequent reperfusion (normalization of blood flow and oxygen supply), which would otherwise impair the liver’s enzymes that take part in the process of toxin neutralization. But what are the best natural antioxidants in terms of improving and supporting liver function? Known by the scientific name of Silybum marianum, the milk thistle is one of the most well-researched plants regarding the treatment of liver diseases. It has powerful antioxidant and antifibrotic (prevents scarring of liver tissue) properties and might prevent toxins from attaching to the liver cells, thus preventing local damage and function impairment. The recommended dosage varies from one supplement to another, but most sources recommend taking about 70 mg of milk thistle extract three times per day for one week before surgery and 1-2 weeks after the operation. In terms of enhancing liver function, curcumin (the main beneficial substance present in turmeric) is absolutely fantastic. Besides the abovementioned antioxidant properties, it attenuates toxin-induced damage of the liver, prevents drug-related hepatotoxicity, and even speeds up recovery after surgery in general, at least in lab animal tests. Note: Although turmeric is a wonderful, detoxifying, anti-inflammatory and healing spice, it is not recommended to take it at least 1-2 weeks before a surgery. This spice works as a natural blood thinner and may prevent blood-clotting when under surgery. Taking it after surgery, however, may be helpful to protect the liver. Also referred to as Ocimum sanctum Linn, Holy Basil (or Tulsi) has been widely used in Ayurvedic healing doctrines for a multitude of conditions and even to promote longevity. With powerful antioxidant properties, Holy Basil serves as a liver protector, significantly improves healing of wounds and prevents the formation of keloid (deformed) scars. That’s a fabulous effect to consider for your surgery recovery! Holy Basil is taken fresh, dried, as a powder or herbal tea. The latter version is the most convenient one, but it takes some time to set in, so make sure to start drinking Holy Basil teas once or twice per day for at least a couple of weeks before your surgery. Some people adore it, other ones hate it, but one thing remains unshakeable regardless of personal taste: glycyrrhizin, one of the main compounds present in licorice, does a terrific job in attenuating liver inflammation and preventing toxin-induced liver damage. Keep in mind that all candies and sweets that are positioned as “licorice-flavored” have an exceptionally low content of the stuff. Instead, opt for licorice extracts or dried licorice root and take in accordance with the manufacturer’s recommended daily dosage. Alcohol. This should come naturally, but I’ll mention it here just in case. Don’t even think about drinking ANY kind of alcohol a couple of weeks before and at least 2-3 weeks after any surgical operation. Ethanol is metabolized mostly by the liver, so even the slightest amount of it will be an extra burden for this already-compromised organ. Saturated fats, such as those present in butter, sour cream, fatty meats, and all kinds of fried foods. The liver produces bile, which is essential for the digestion of fats, and this could be a “distraction” from its primary goal after surgery: to detoxify your body from the anesthetic. Too much proteins. When the metabolism of proteins is impaired in the body, this could lead to the buildup of ammonia, another kind of organic toxin—and yet another thing your liver has to deal with. After surgery, limit your protein intake to 1g per kg of body weight (or less) during the first several weeks. Okay, let’s imagine your liver did a fabulous job, and all of the anesthetic used for surgery has been neutralized. You still have to flush it out of your body. This is why supporting your kidneys is essential for a prompt recovery, and I’ll show you the best natural approaches to that! This plant has been used for centuries to treat all sorts of conditions of the kidneys, and for a good reason. It attenuates the damage from lack of oxygen, dissolves urinary stones, and even shows promising results in matters of pancreas repair from drug-induced damage in animal models. Additionally, it has powerful antioxidant properties and serves as an immunomodulator, boosting your body’s natural response to all kinds of damage imaginable, including the one related to surgery. Stack on stinging nettle tea, and drink 1-3 glasses of it each day during the first two weeks after your surgery. A powerful natural diuretic, the burdock root is widely used to flush out waste products from the blood and tissues by stimulating your kidneys to produce urine more actively. This may not be suitable for those people whose kidneys were already compromised before the surgery (for example, by chronic renal failure or age-related decline of kidney function), thus should be taken with caution. Burdock root is also great at scavenging free radicals and has shown promising anti-inflammatory effects as well. A plant widely used in traditional Chinese medicine, rehmannia could be extremely beneficial for everyone who wants to cleanse their kidneys and support them in the post-surgery period. Animal models have confirmed the benefits of this herb during progressive renal failure and even revealed certain cancer-killing properties! Rehmannia supplements come in various forms and shapes, so it is recommended to pay close attention to the manufacturer’s instructions. Limit your protein intake. The liver takes part in the process of metabolizing waste products formed after the digestion of proteins, but it’s the kidneys that ultimately flush them out. Both organs need a good break after surgery, so don’t take more than 1g of protein per each kilogram (2.2 pounds) of body weight during the first weeks after your surgery. Limit your salt intake. Salt induces fluid retention, and eventually, your kidneys will have a rough time filtering and excreting all those fluids. Instead, try adding as little as possible of kitchen salt to your meal, and spice up your food with safe alternatives like freshly squeezed lemon juice or a healthy amount of other spices. However, you may use natural salt, sparingly, if desired. If you follow the easy principles listed in this article, your liver and kidneys will absolutely appreciate that, but is there something else you can do to recover even sooner from surgery? Of course! Sleep is your body universal “restoration and rejuvenation session,” so it’s just natural that you should try getting more of it immediately after your surgery. This way you will ensure your wounds heal faster and your metabolic processes return to normal sooner than they otherwise would. Any kind of stress is a challenge for your organs. This includes emotional, physical, and mental stress: in other words, you should try not to clutter your mind with too many things. Relax and be calm and serene as much as possible after your surgery. Avoid any negative thoughts and emotions, and you’ll be amazed at how fast healing will come! If you don’t drink enough, your body will have a hard time flushing out the toxins after surgery. Control your fluid intake and make sure you drink at least 1.5 liters of water each day. While your digestion may not be up to its best performance after a surgery, drinking homemade broths is one of the best things you can do to for your body after a surgery. When you’re able to, have your caregiver prepare this Hippocrates broth that is very nourishing and healing for every organ in the body. Lotusroot broth helps to heal any internal bleeding. And celeriac is an excellent food for cleansing and supporting the kidneys. Other than broths, juices is a great addition if you are on a liquid diet. Juices are rich in nutrients that your body will need especially after the trauma of a surgery, and will help to speed up your healing. Some of the juices that will help during this time, are juices that are calming, such as the cabbage juice, carrot juice, beetroot juice. There are many other juices that can help—do browse this website that offers hundreds of healing juice recipes for free! Every surgical operation is unique, so there might be some extra tricks to speed up the recovery depending on the specific type of surgery performed. There are even some physical exercises used throughout rehabilitation programs to boost wound healing and enhance recovery! Last but not least, stay positive!